This Feb. 19, 2018, file photo shows a branch of McDonald's in Bath, England. The massive burger chain is planning to cut 150 million metric tons of greenhouse gas emissions by tweaking its hamburger production process. 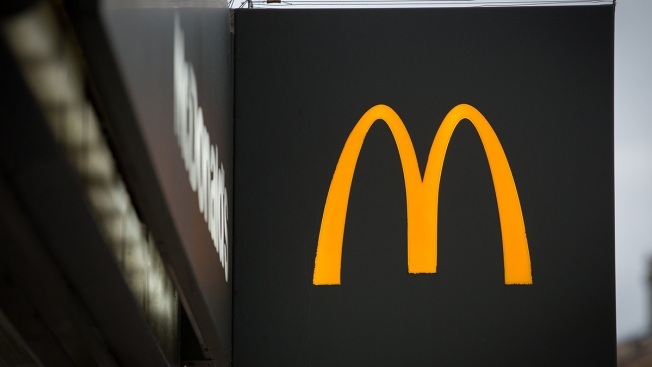 The company behind the golden arches wants to get greener. McDonald's on Tuesday announced a number of steps it will take to cut the greenhouse gases it emits into the air, including tweaking the way the beef in its Big Macs and Quarter Pounders is produced. The world's largest burger chain said it expects the changes to prevent 150 million metric tons (165 million tons) of greenhouse gas emissions from being released into the atmosphere by 2030, equal to taking 32 million cars off the road for a year. Several food and beverage companies have announced changes recently to appeal to customers concerned about the environment. Dunkin' Donuts said it will phase out foam coffee cups by 2020. And soda maker Coca-Cola announced plans to recycle a bottle or can for every beverage it sells by 2030. McDonald's said beef production, restaurant energy use and packaging account for more than 60 percent of its emissions, and will focus on making changes in those areas first. It will work with beef suppliers to reduce carbon emissions at cattle farms and ask franchisees to replace light bulbs and kitchen appliances in its restaurants for more energy-efficient ones. It is also in the process of using more environmentally friendly materials for its soda cups, Happy Meal boxes and burger wrappers, a shift it first announced last month. The Oak Brook, Illinois-based company declined to say how much it will spend to make the changes.